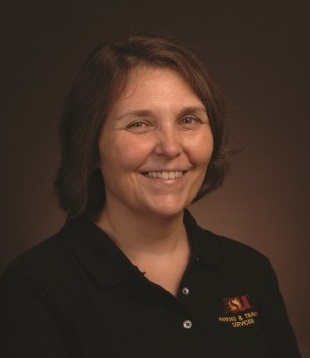 (Nashville, Tenn. – May 18, 2016) – The International Parking Institute (IPI) named Cathy Harrison, office supervisor at Arizona State University Parking & Transit Services (PTS) as its 2016 Parking Supervisor of the Year. The award, part of IPI’s 10th annual Professional Recognition Program, was announced at IPI’s 2016 Conference & Expo, May 17-20 in Nashville, Tenn. It was created to honor parking industry professionals at a supervisory level who exemplify excellence and are changing the perceptions of parking through their actions and organizational programs. They are nominated by their peers and selected by IPI’s Professional Recognition Committee.